Herve Bizeul, the owner of Clos des Fees, achieved great things in Languedoc-Roussillon. 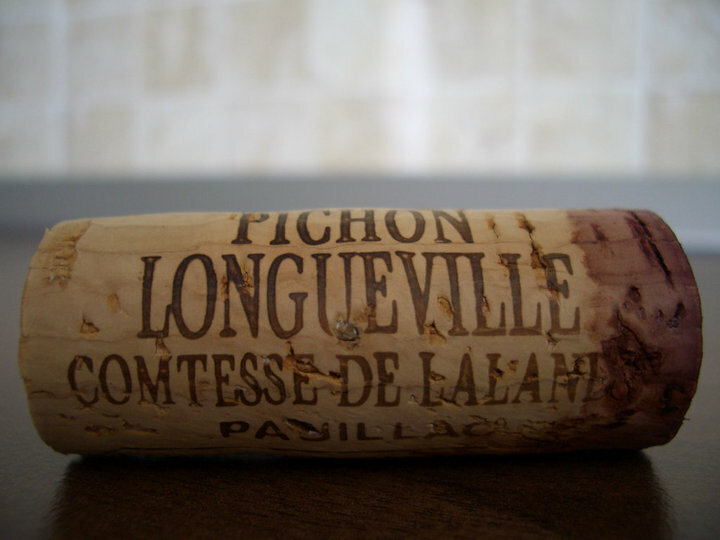 If I am not mistaking, he’s making one of the most expensive(an impressive wine nevertheless) cuvee of this region: La petite siberie – a 200 EUR wine made from a tiny 1.6 ha plot of very old Grenache Noir vines. He probably did shock a few people releasing this wine at this price level when most of the wine produced in Roussillon is usually selling very cheap. 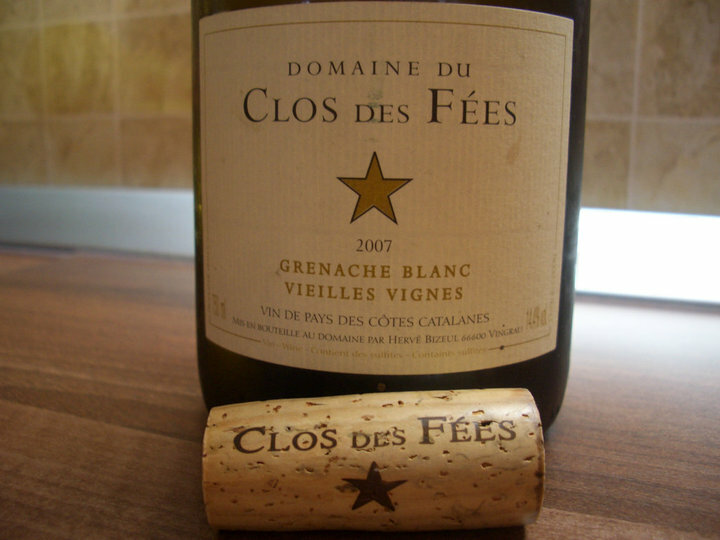 I previously tasted the 2004 Clos des Fees Vielles Vignes Grenache Noir(25 EUR) and at 15% alc level the wine had a beautiful equilibrium and concentration. As I was in a desperate need for a white wine to go with this SUN lunch, my quest in the cellar brought up this amazing wine from an acclaimed 2007 vintage. 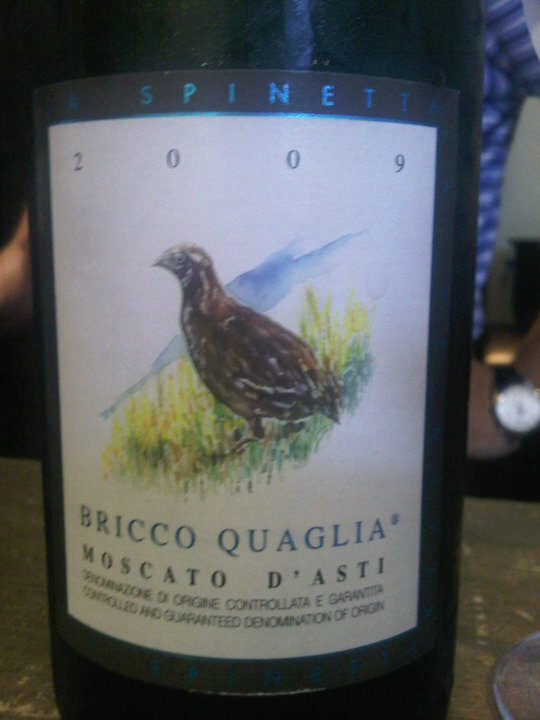 At 14.4% alc I expected a heavy wine and was a little bit afraid of spoiling the lunch, but I was in for a big surprise. The wine has a pale lemon yellow color. The nose is tight, floral with discreet notes of linden, acacia, muscat and lemon in the background. In the mouth this wine is explosive: an immediate sensation of sweetness, a high and beautiful acidity, a full body wine that has amazing layers of apricot, peach, honey, grapefruit, cut hay and a beautiful freshness. It is a big and round wine but there is absolutely no sensation of heat from the 14.4% alc, no heaviness or flabbiness. This wine has a perfect balance. The wine has a medium plus aftertaste finishing dry with a very pleasant freshness and silkiness on the back end. Make no mistake, even there is no heat sensation in the mouth, the high alcohol level will make you dizzy if you have too much. What an unexpected and illuminating experience for a quiet SUN lunch. I was really blown away by this wine therefore I find it Very Good+ to Excellent. This is a must drink over and over again. If you are lucky enough to find this hedonistic wine, for the price it sells, there is no excuse not to get it and enjoy the great pleasure it offers. Update the second day: the wine grew more on the nose with stronger flavors of linden, honey and brought a new aroma of walnut to the table. Less acidity but the wine remained a beauty. I have neglected the blog for some weeks due to some home improvements and to my surprise I received messages from a few readers inquiring about my rarer postings. It is nice to find out that people do follow my posts so now things should come to normal with a certain continuity in my posting. Therefore this weekend I wanted to pamper myself with some decent wines and decided to start with this blue-chip claret. 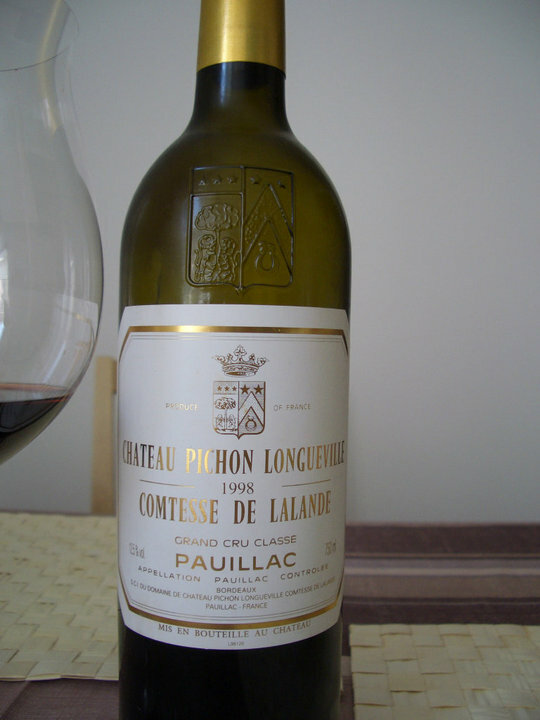 The 1998 Chateau Longueville Comtesse de Lalande has a clear ruby red color. The nose is spicy and vegetal: green pepper, cedarwood and smoke are the dominant flavors, completed by prune, redcurrant and liquorice in the background. The nose is interesting and reminds of winter and burned wood. In the mouth the wine is medium body, with silky but still firm tannins, nice acidity with green pepper, earth, coffee, redcurrant, prune and mint. 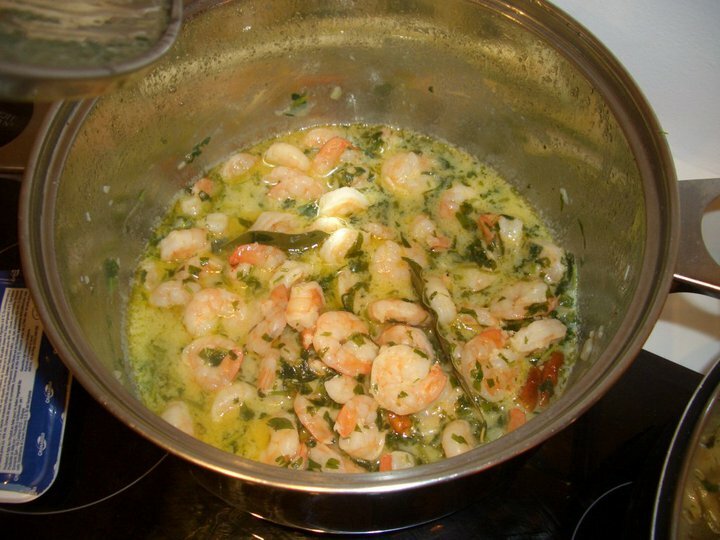 It has a nice spicyness and a very pleasant equilibrium. The aftertaste is medium plus finishing with coffee with a light and pleasant biterness.This wine is very drinkable at this stage and offers great pleasure. I was not blown away by this particular bottle and, considering the 85 EUR price I paid for it, I had higher expectations. However I still find the wine Very good+ to Excellent. As much as I try to judge wines, at the end of the day, I am a consumer myself, paying for the wines I drink. So the final test a wine has to pass is: Will I buy it again ? In this case: most likely not. 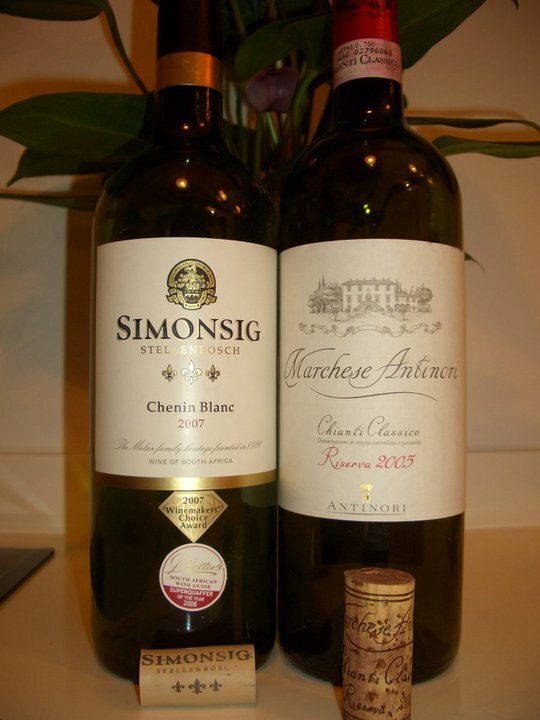 For this price I can find far better wines, some even cheaper offering the same or even greater pleasure for my palate. It is after all a matter of one’s palate. I had the chance to taste yesterday a few interesting white wines paired with several kinds of matching French cheese: a Chardonnay from a famous Burgundy producer and another extremely pleasant Italian frizzante. Tasted from a Magnum opened 1 week ago. The wine has a clear deep yellow gold color. 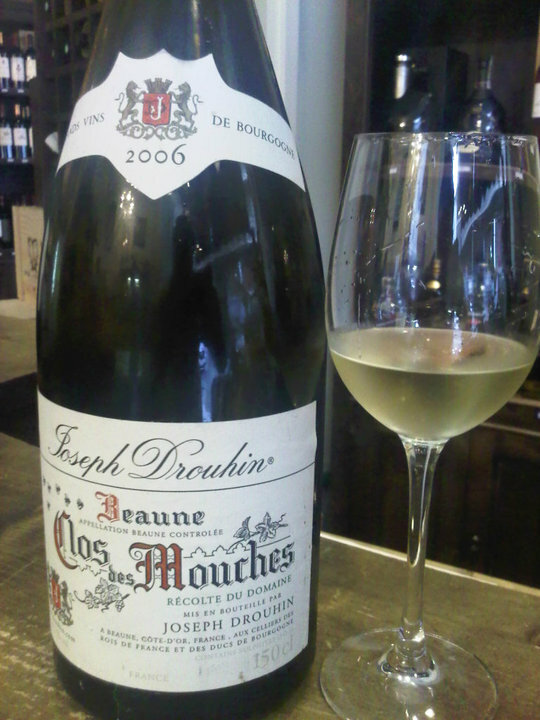 The nose is clean, delicate, with a little butter, some oak, pears and light minerality. Considering the wine was already opened for a week that nose was amazing. In the mouth the wine is creamy, with medium body and nice purity, the taste has faded away by now, but I could still feel apple, mineral flavors and some spice. The aftertaste is short to medium. Tasted as I did, one week after being opened, I find the wine Good+ to Very good. Most likely tasted immediately after opening this wine is more impressive. This wine was a revelation to me. It is the very first wine with under 10% alc I have. At 5.5% alc, as it shows on the label, this is a wine you can drink all day long, even starting like the Russians for breakfast. This is no joke: I saw several times on my vacations many hotels serving sparkling wines for breakfast for their Russian guests. The wine has a clear pale white-yellow color with small bubbles. The nose shows tons of peaches, like putting your nose in a bucket of freshly cut ripe peaches. In the mouth this frizzante wine is light to medium body with pure and concentrated elder flowers(Sambucus) flavors, very nice high acidity that balances the medium sweetness and makes the wine vibrant and fresh. 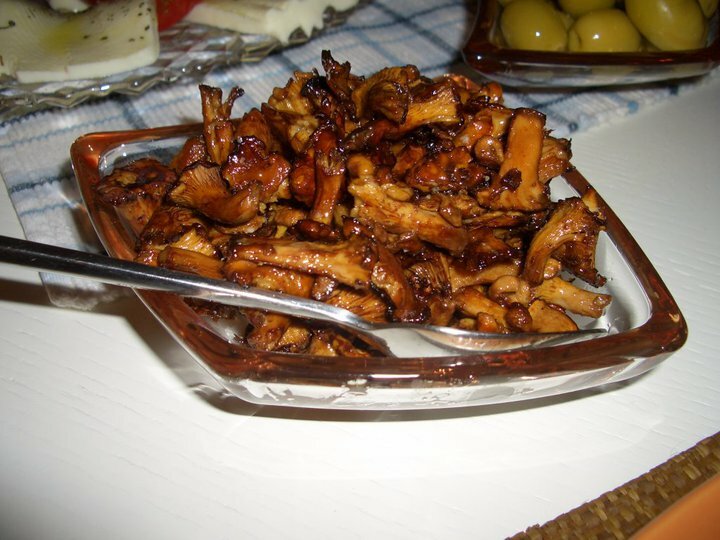 It has a very pleasant short to medium aftertaste with more white flowers. Very good+ to Excellent for my palate. A perfect wine for the summer with its flavors, acidity and low alcohol level. 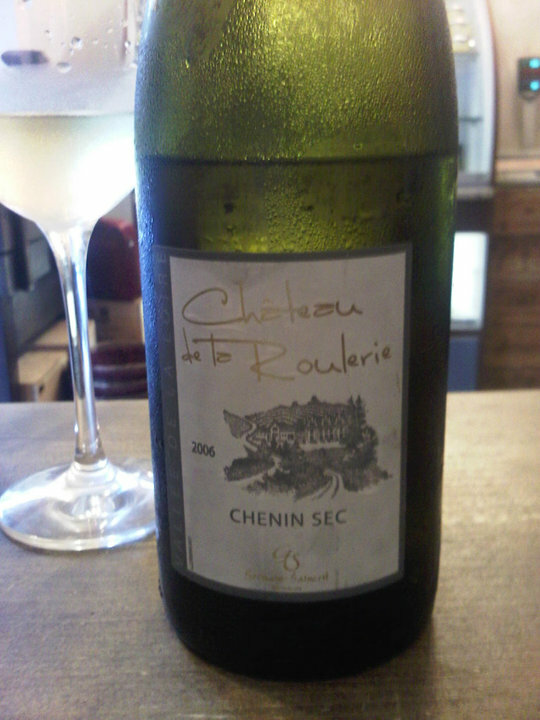 I am glad I tried this Chenin from France a few days after my Sunday evening Chenin Blanc from South Africa. It is always nice to be able to compare the same grape from different regions and different producers.Unfortunately I didn’t like this wine as the aftertaste showed some burned rubber. Not my favorite. For anybody that would like to buy the wines you can find them at Comtesse du Barry – Le Manoir shop near the Hilton Hotel in Bucharest. Also it is interesting to try the new kinds of cheese they started to offer recently. I had the chance to watch the World Cup 2010 final game together with some very good friends. This was a case for a certain celebration, not just the World Cup game, so the night was accompanied by excellent home cooked food and good wines. I made no mistake by choosing this South African wine for this particular dinner, as my intention was to feel the African soil even if I was far away. A nice value wine considering the under 5 EUR price I paid for it. Would buy more recent vintages for sure. I didn’t have any high expectations from this wine as Antinori is a mass(massive is actually a correct term after being shown some statistics and reading more; my bad) producer but after 2 h decanting the wine surprised me pleasantly quite a bit. 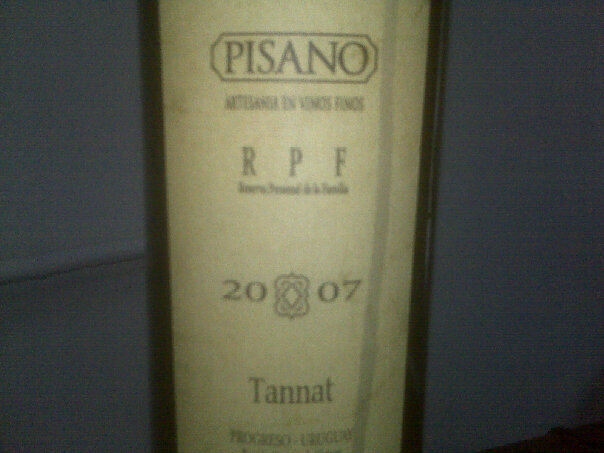 I received this wine as a gift so I do not know what is the actual price of this bottle. The wine spent 14 months in small oak barrels and an additional 12 months in the bottle before being released. 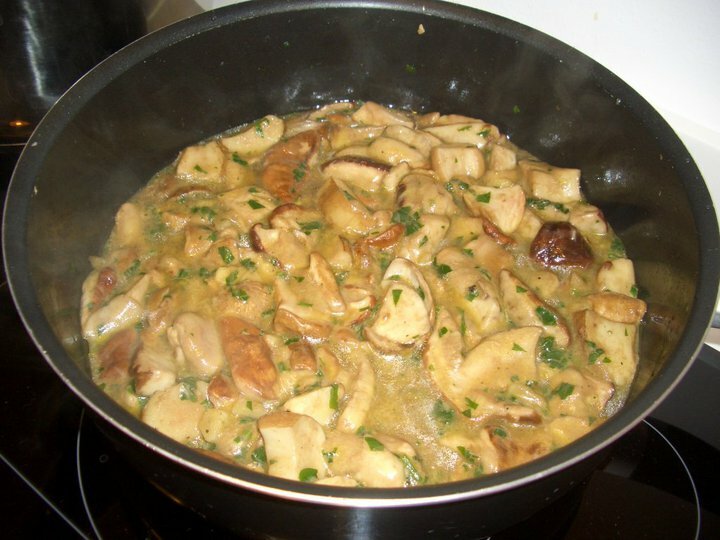 A very nice and solid wine that cuts well through the richness of the meal: funghi porcini with garlic and parsley, yellow mushrooms cooked in butter and Chateaubriand. A very entertaining evening overall.